O’Kelley H. Pearson joined Hickey & Evans in 2007 as an Associate and became a Partner in 2011. She graduated from the University of Wyoming College of Law with honors in 2007 and was admitted into the Bar in 2007. 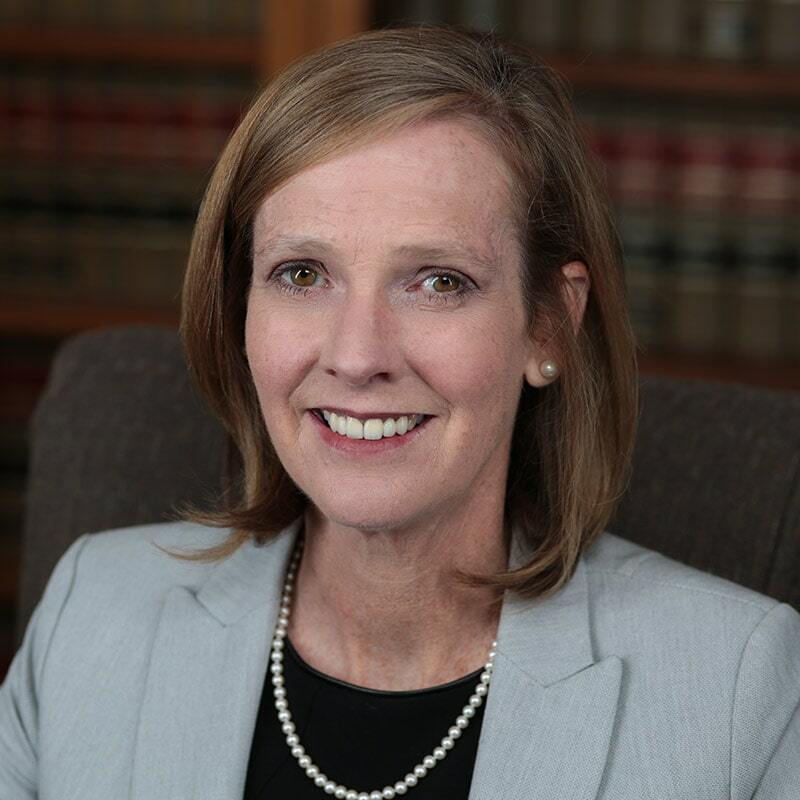 At UW College of Law, O’Kelley served on the Student Honor Council, as managing editor of the Wyoming Law Review and was inducted into the Order of the Coif. Most recently, O’Kelley taught Legal Writing as an adjunct professor at the College of Law. O’Kelley represents a wide range of clients, including K-12 and higher education boards and institutions, regulated utilities, municipalities, and diverse business entities. She has appeared before state and federal courts in Wyoming, as well as the Public Service Commission, the Industrial Siting Commission, and the Office of Administrative Hearings. A native of North Carolina, O’Kelley has lived in Wyoming for 30 years, the majority of which has been in Pinedale. She is married and has two grown children, Emily, and Andrew. She and her husband Mark are owner/operators of a family outfitting business in the Wind River Range. “Fundamentally Flawed: Wyoming’s Failure to Protect a Student’s Right to an Education, R.M. v. Washakie County School District Number One, 102 P.3d 868 (Wyo. 2004),” 6 Wyo. L. Rev. 587, 2006. Riding the Wave of School Finance Reform: The Wyoming Judiciary Hangs Five –May 3, 2006 (Education Law Seminar). “Remember me, Mom, it’s your daughter” – My Experience as a Non-Traditional Law Student, Wyoming Lawyer, 2011.